Yesterday evening we attended a touching tribute to Raif Badawi, the liberal Saudi blogger who is in the midst of a sentence of floggings and imprisonment for daring to speak his mind. Having found out about the candlelit vigil late in the afternoon, the children were given little warning of our unusual evening outing to Weymouth Pavilion. Yet they approached the small crowd beside the theatre in good spirits and were cautiously intrigued by the flickering flames. One attentive lady soon assigned FreeToBeP the task of keeping the candles alight as a gentle sea breeze ensured the steady snuffing out of the many tealights. My children may not have understood why we were there, but their presence seemed poignant. It was one of those moments where I can understand (if not agree with) people who don’t wish to have children due to the sort of world that they would be being brought into. FreeToBeP and FreeToBeZ both adopted a natural reverence – whilst they may not have fully appreciated the occasion intellectually, they certainly seemed to intuitively. Initially, it appeared difficult to know how much to disclose about such a case as Badawi’s to a child – I don’t want to wrap my kids in cotton wool, yet equally don’t want them fearing that the world is a cruel place. But, really, the explanations came naturally and in a language that FreeToBeP would understand. I gently explained that in some countries, people can be punished for doing exactly what I do: expressing opinions publicly by way of an online blog and encouraging people to share information, think outside the box and question life, the universe and everything. I gently explained that this man has children who know their daddy is being hurt, and that it’s important to try to free him so that he can be reunited with his family. I gently explained that we were attending to show that we care about other human beings and don’t agree with people being treated cruelly, that when we know someone is being mistreated we must speak out against it. Somewhat black and white explanations maybe, but more than sufficient for a six year old who is at liberty to ask further questions if my initial words don’t suffice. I hope that by attending such events, I’m not merely focusing on the negative happenings of the world but showing my children how much compassion and hope there is between people despite the brutality of others; that through solidarity with our fellow humans – even a stranger in another country – we can affect change and our children will grow up to live that change. The simple message was Yes, bad things happen, but good people rally together to make things better. The children were a huge credit to me, FreeToBeP conscientiously being the flame-keeper and FreeToBeZ the observant bystander: both of them calm and contained and careful in both speech and action. I have no doubt that they, on some level, perceived the energy of the event and responded accordingly. The general atmosphere was one of quiet respect – it was sociable, hopeful and yet suitably solemn. We were a fairly small gathering yet not insignificant – for if no one stood up in protest, the world would be a free for all in quite a different way to the one Raif Badawi calls for. Yes, there are many atrocities taking place the world over – each and every day witnesses the suffering of numerous warzones and injustices against innocent people. But some stories captivate the collective consciousness more than others (or someone tell me this is due to media spin!) and call on us to respond, to take action, to say “enough is enough”. As our candles stood as symbols of hope, so has Raif Badawi’s case become a symbol of the right to free speech. He is just one of countless scapegoated people, yet in speaking out against the inhumanity shown towards one, we speak out against inhumanity in general. As my children tended to the tiny flames, so I saw the tiny flames that they are – the next generation who will light the way forward. In allowing our children to take part in peaceful activism and empowering them to believe that they can change the world, may they be the lights of hope that pave the way to a future where freedom of expression is a birthright the world over. 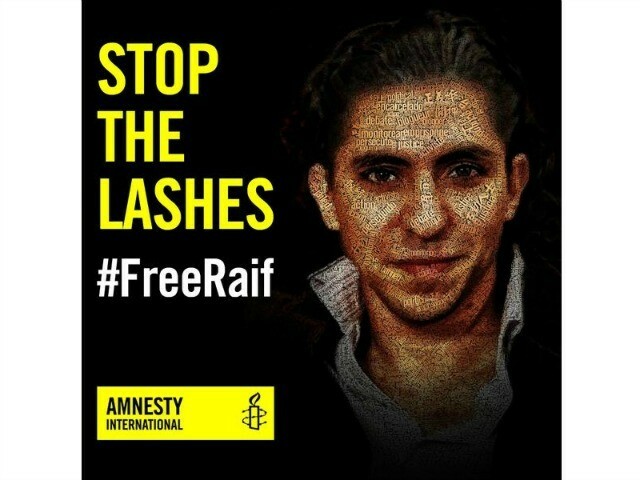 To sign the petition against the punishment of Raif Badawi, please visit Amnesty International here. To read extracts from the blog that got Raif Badawi into trouble, visit The Guardian’s article here. 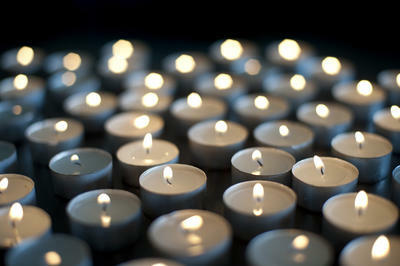 A local account of the evening’s vigil can be found at the Dorset Echo website here. Your children may be a credit to you, but you are a credit to them to for being ready to teach them about such things even at a young age. Thank you for joining us at the vigil. Thank you Andy. I was lucky enough to have parents who themselves taught me the importance of activism and global concerns from a young age, it would seem strange to me to not pass that awareness on.